Fender’s latest Classic Series pedal reissues bring back in their full glory four of the company’s big-honkin’ stomp boxes from the Golden Era of effects: the sensibly named Volume, Volume-Tone, Fuzz-Wah and Phaser. All four perfectly duplicate the vibe of the originals while adding modern conveniences that today’s players will appreciate. Using these pedals may make you feel like you’re wearing bellbottom flares and Ace Frehley’s moon boots, but these beefy behemoths offer plenty of functional advantages and sound that’s as big as Sib Hashian’s afro. The Fender Volume, Volume-Tone and Fuzz-Wah all look like the gas pedal for a ‘56 Buick, and they’re plated with enough chrome to cover that car’s bumper. The Phaser boasts more modern Seventies-era styling with a textured black finish, raised silver “treads” and an oversized rotary knob that’s the size of a Scooter Pie. 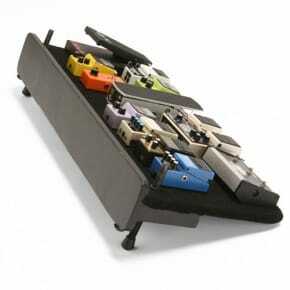 In addition to the usual up/down tilting movement, the foot treadles for the Volume-Tone and Fuzz-Wah features a groovy pivoting side-to-side action for controlling tone or fuzz intensity, respectively. Switches for the Fuzz-Wah’s fuzz and wah effects are mounted on either side of the pedal’s foot treadle, so you don’t need to worry about accidentally switching off your wah when you get emotional and bear down too hard on the pedal like you do with most other wahs. 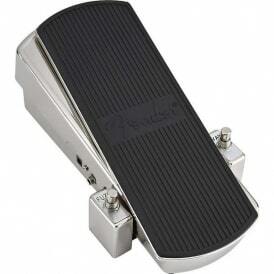 The Classic Series Volume pedal simply does what a good volume pedal should. It has a nice smooth action, a generous amount of up/down travel that makes it easy to pinpoint ideal levels, and it’s built like a Cold War era bomb shelter. 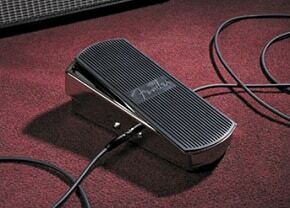 The Volume-Tone pedal adds a side-to-side tone control that offers more versatility for only few bucks more. Most guitarists will probably use the tone control in a “set it, then forget it” configuration. Fortunately, the sliding action provides enough resistance to hold the tone setting firmly in place. The Phaser delivers mellow, natural-sounding phase-shifting effects without the obnoxious nasal overtones produced by many vintage phase shifters. The Frequency control is a great addition, allowing you to dial in the optimum frequency emphasis to match humbuckers or single-coil pickups or even a bass. The large rotary rate knob makes it easy to go from slow, subtle sweeps to jittery Uni-Vibe-style effects while you tone your calf muscles. Although many vintage fuzz tones sound good only when applied to single notes, the Fuzz-Wah’s fuzz delivers well-defined, distorted chords while still generating the cut and buzz that makes fuzz so much fun. The ability to alter the fuzz’s intensity while you play is a surprisingly expressive and useful feature. Like the Phaser, the wah effect is smooth, detailed and natural sounding—more like the front of a vocal cavity than the barfy throat-gag midrange found on some wahs. 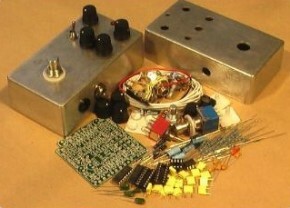 Best of all, the Fuzz and Wah effects operate independently, making the Fuzz-Wah two pedals in one. You don’t need to be in a Frank Marino tribute band to appreciate the humongous size and tone of Fender’s Classic Series effect pedals. This is one case where throwback styling makes sense in the modern era as the oversized housings allow players to gain back detailed control they lost when pedals shrunk in size. Thanks to Guitar World for the report!